Former Mizoram Chief Minister Lal Thanhawla claimed that the BJP was trying to establish a “religion-based kingdom” in the country. Addressing a political session at the Congress Bhavan in Aizawl, the state Congress president said that even many Hindus do not concur with the BJP’s Hindutva policy and its “bid to transform India into a Hindu kingdom”. Reports quoted Lal Thanhawla as saying that the country was “less communal” during the rule of the former Prime Minister Late Atal Bihari Vajpayee. He also slammed the BJP government by saying that the “attempt of the party to make the country comprising diverse ethnic communities into a religious-based kingdom would only result in national disintegration”. The Mizoram Congress chief also blamed the BJP government for failing to fulfil its promises during its five years of rule. He claimed that the unemployment rate in the country has been “quite high” during the rule of the Narendra Modi-led government. The former Mizoram CM hoped that the Congress would return to power in 2019 and also thanked the people for peaceful polling for the lone Lok Sabha seat in Mizoram. 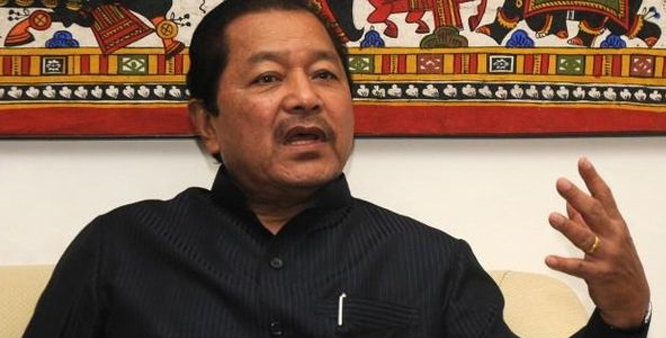 Blasting the Mizoram government led by Mizo National Front (MNF) for raising the liquor issue just before the State Assembly polls last year, Lal Thanhawla said “no country has so far successfully prohibited alcohol”. He lauded the Mizoram People’s Forum (MPF), a church-sponsored poll watchdog, for “walking the extra mile” to ensure peaceful polling. Mizoram has recorded the overall voter turnout at 63.08 per cent with 63.60 male voters and 62.53 female voters exercising their suffrage in the first phase of parliamentary polls held on April 11 last. Polling for the lone Lok Sabha seat in Mizoram and the by-poll to the Aizawl West Assembly constituency were held on Thursday. According to information provided by the office of Chief Electoral Officer (CEO) of Mizoram, Lunglei district recorded the highest poll percentage of 65.37. While Mamit district’s voter turnout was 63.15 per cent, Kolasib recorded the turnout at 61.91 per cent, Aizawl district – 62.80 per cent, Champhai 61.30 per cent, Lawngtlai district 64.69 per cent, Saiha 60.03 and Serchhip district recorded the voter turnout at 63.92 per cent.